Located beneath the shell is a small cone or cup that contains the lifting charge. The shell is launched from a mortar. The mortar might be a steel pipe, a fiberglass tube or most frequently, a tube made of HDPE (high density poly ethylene) plastic. When the lifting charge fires to launch the shell, it lights the shell's time fuse. The shell's time fuse burns while the shell rises to its correct altitude, and then ignites the bursting charge so it explodes. 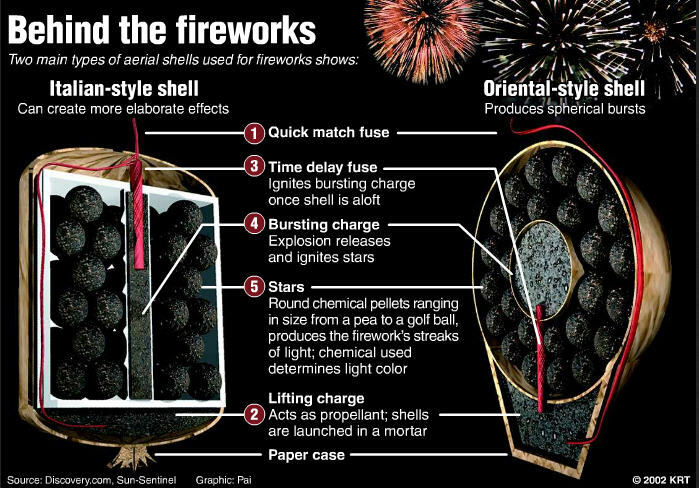 Simple shells consist of two paper hemispheres filled with stars and a burst charge. Stars come in all shapes and sizes, but you can imagine a simple star as something like sparkler compound formed into a ball about the size of a pea (or bigger, depending on the shell size). When the time fuse burns into the shell, it ignites the bursting charge, causing the shell to explode. The explosion ignites the outside of the stars, which begin to burn brightly in the color it was made in. 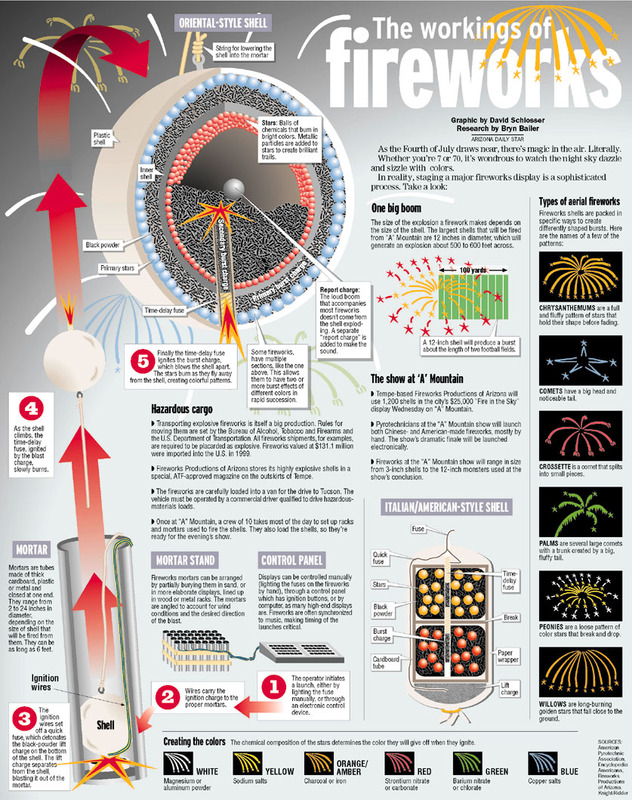 Since the explosion throws the stars in all directions, you get the huge sphere of sparkling light that is so familiar at fireworks displays.